Here it is, in all its 355-page glory. 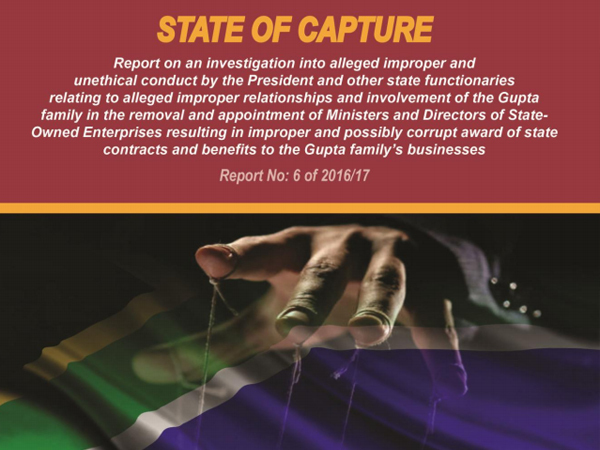 After much legal wrangling, the controversial State Capture Report into allegations of improper influence by the Gupta family over Zuma and his family has been released. This just hours after Zuma withdrew his application in the High Court in Pretoria to interdict the release of the report. The court also ruled that the report had to be released on Wednesday. The main finding of former public protector Thuli Madonsela in the 355-page report is that President Jacob Zuma should appoint a judicial commission of inquiry into state capture. Chief justice Mogoeng Mogoeng must decide which judge should head the commission.